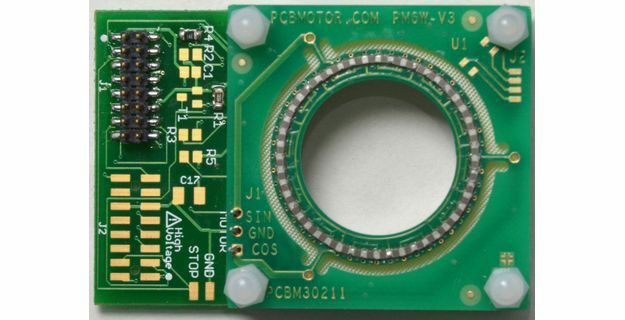 Optical motorized rotary stage with a 22 mm free Hollow center PCBMotor w/2880-Counts Encoder. Hardware support for 1440 & 5760 counts per revolution. The kit is controlled by the High Resolution Twin Motor driver which achieves up to 2.6 million micropulses per revolution in open-loop mode. 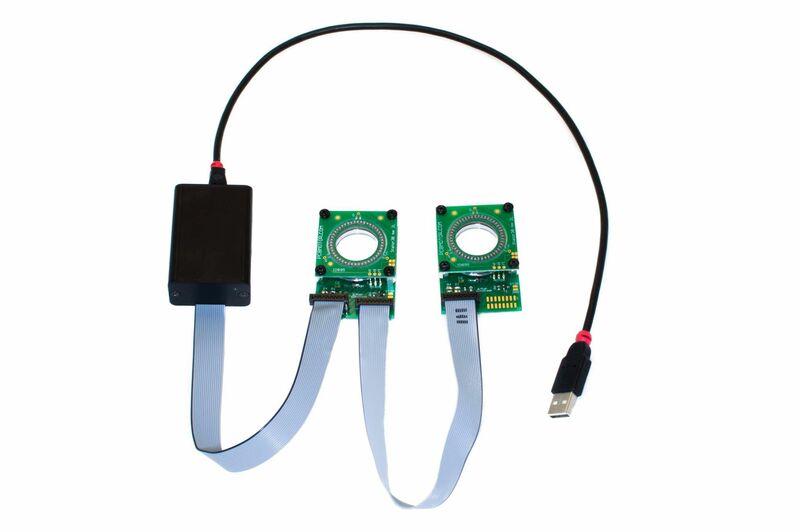 Driver-motor connectivity is a standard ribbon cable and the kit comes complete with a power/USB cables and free PC controller software Termite. 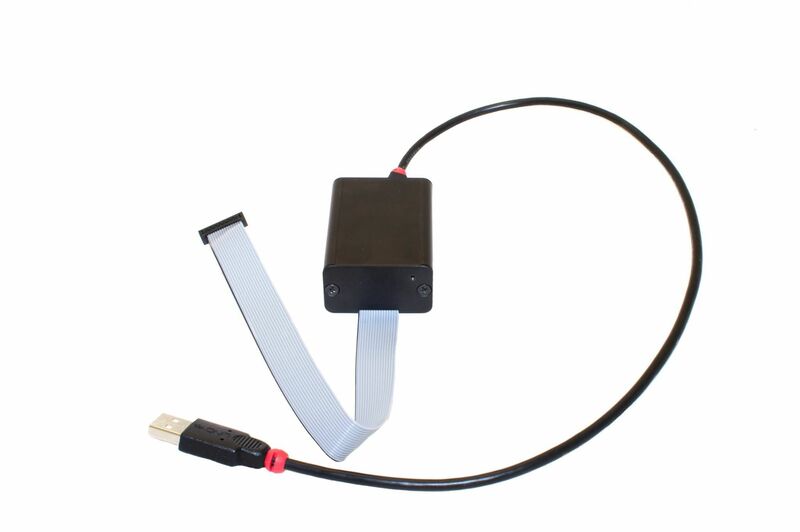 The software provided includes a comprehensive help section with setup, micropulsing and programming tips to get users up and running immediately. See the hollow center rotor in action on our Youtube channel as well as the controller interface and how to use micro-pulsing to achieve ultra-high resolution. 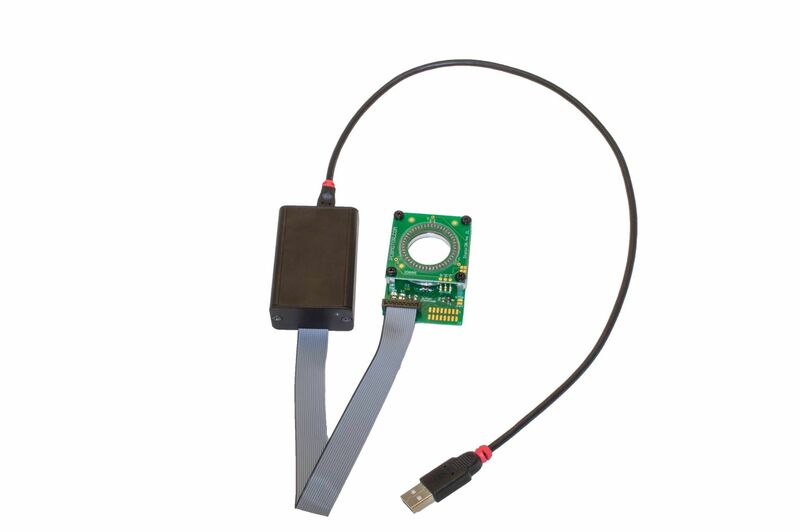 Normal position sensor which can detect 2880 counts per revolution. There is hardware support for 1440 counts and for 5760 counts as well. 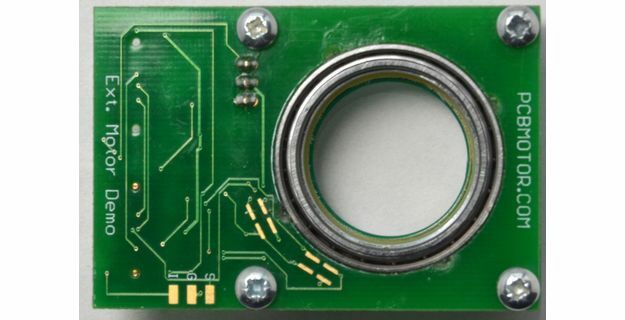 The stator is a standard Ø30mm. 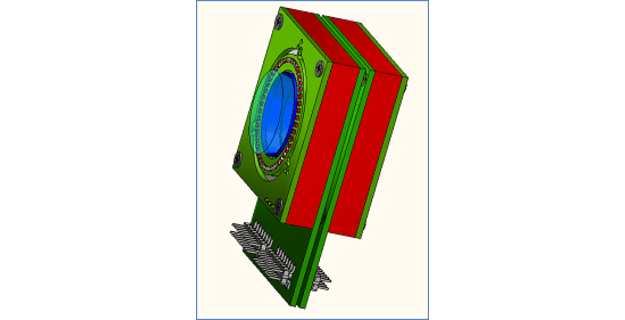 If your project requires an open center that uses a different diameter, contact us now and let us help you customize a Through-Hole Deveice PCBMotor solution for your application.